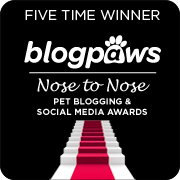 KATIE: A friend and fellow blogger, Miss Marjorie from DashKitten.com, tweeted us a message last night about a design contest for The Paw Project. What a wonderful opportunity to help raise awareness for such an important cause. Paws UP! What IS The Paw Project? 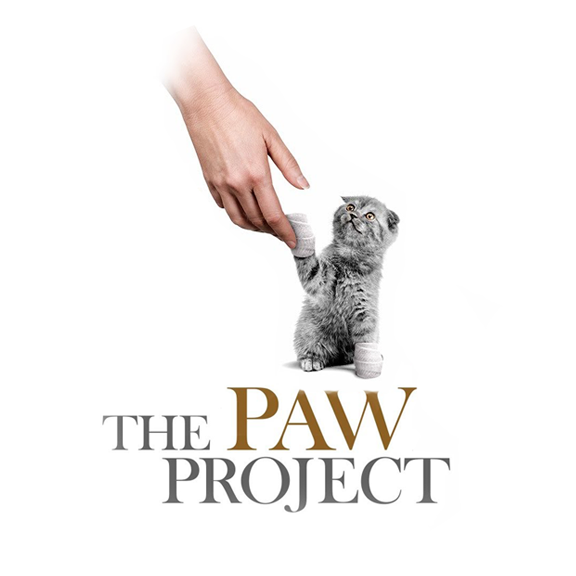 The Paw Project's mission is to educate the public about the painful and crippling effects of feline declawing, to promote animal welfare through the abolition of the practice of declaw surgery, and to rehabilitate cats that have been declawed. 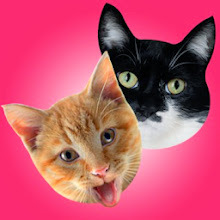 The Paw Project is a nonprofit organization supported by private donations and the sale of Lala cards, a line of animal-themed greeting cards. Veterinarian Dr. Jennifer Conrad was inspired to make a difference. After seeing the horrible effects of declawing on big cats living in captivity, it dawned on her that there were likely millions of domestic cats suffering from the same terrible effects. And that's how it all began. 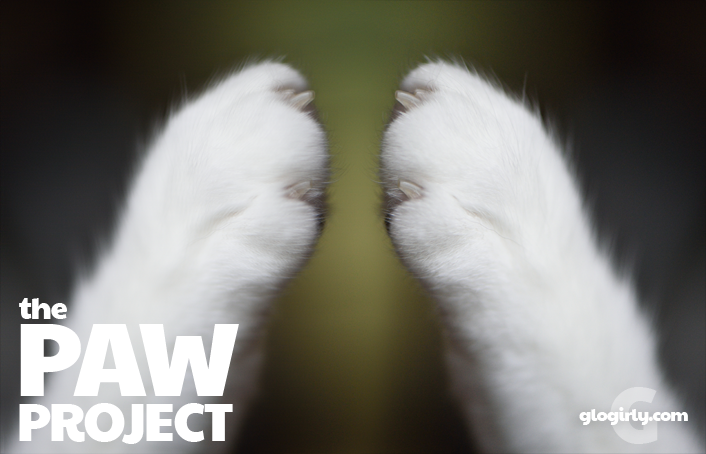 You can watch The Paw Project documentary online for as little as $2.99. It's available on Amazon, Google Play, iTunes and Netflix. 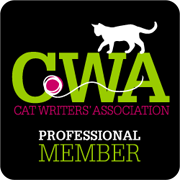 As cat bloggers, we forget that in some ways we're living in a bubble. 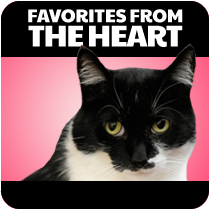 Our readers love animals, our fellow blogging friends love animals and we love animals. We're also much more informed and educated in this bubble of ours. The fact that declawing is cruel, isn't a new concept to us. But it doesn't take long once we step outside the bubble to realize there are SO many people that just don't know. The vast majority are not inhumane, they don't lack compassion... they're just uninformed. Education is so important. And because there will always be people for that simply don't care, are selfish or heartless... well that's why changes in laws are so very important. 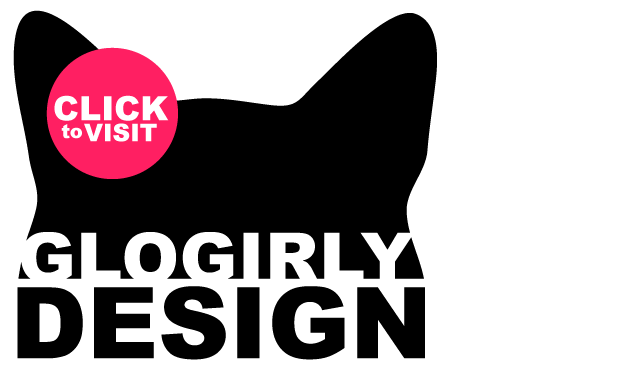 If you're an aspiring designer, a seasoned pro or just have a passion for drawing ... and of course CATS... we encourage you to enter their t-shirt design contest. We're already working up a couple of entries! 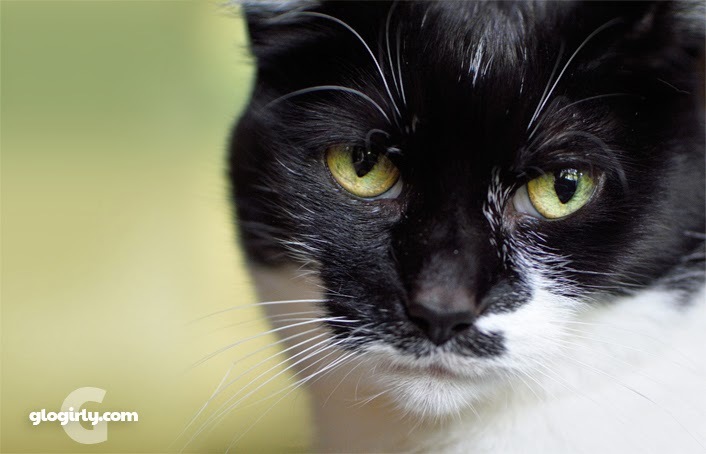 Your design could help make a positive difference in the lives of our feline friends. 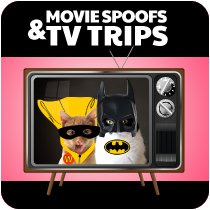 Click HERE for contest details. "Laws can't change the heart, but they can restrain the heartless." 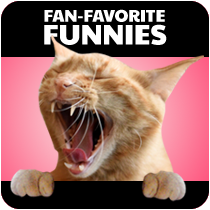 Waffles and I... well we're just a couple of funny cats and we don't ever claim to be experts on much of anything. ...except for Waffles thinking he's a chicken expert. We'd like to share some wonderful articles that fellow bloggers who are far more informed and eloquent than us have published. And we promise to create a brief tutorial on how Glogirly is able to easily trim both my and Waffle's nails in the coming weeks. Yes, there are treats involved. What a great contest! Good luck - I am sure you will come up with something amazing. Sparkle was a big supporter of the Paw Project, and I intend to follow in her pawsteps. BTW, I am embarrassingly easy when it comes to claw trims - a tutorial with me would not look anywhere near most humans and kitties' reality! Very important issue that needs to be out there to educate others. Our Sylvester is declawed (not by the peeps!) and it hurts Mommy to see his mutilated toes. Claw clipping here usually involves muscle (Daddy) and quick devious fingers (Mommy). And much wailing--not saying who! I love your statement about the bubble. So very true. 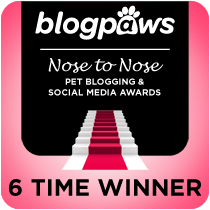 Also, as pet bloggers we can tend to be a little judgmental of those who may be uneducated. It's also very common among veterinary staff, I've noticed. It takes time to overcome that and focus on what really matters - helping to educate those that need it without scaring people off. Great project! That's a great idea! Yes, we do live in a bubble with those who love animals & know they have feelings too! What a post!! Brilliant! You will come up with something totally brilliant I know you will! You can actually watch "The Paw Project" on Netflix for *free* if you're a Netflix member. I have it on my list to watch, but I'm wondering if it will be too graphic for me. I really cannot atnd to see any animal suffer. You're absolutely right that we live in the cat blogger bubble where we are more informed about this than other people. The head peep had a conversation recently that absolutely floored her where there was a complete expectation that declawing was normal and expected. She probably said something impolite without meaning to because she was so floored by the attitude, but it's easy to forget that other people don't get the same information that we do. It's a very important message. Good luck in the t-shirt contest! This is such an important topic. I believe that every cat lover needs to watch The Paw Project, no matter how much they think they know about the issue of declawing. It's incredibly difficult to watch at times, but also very inspiring. 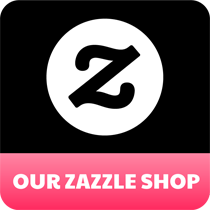 Thank you for linking to our articles! This is a topic that definitely needs more focus. 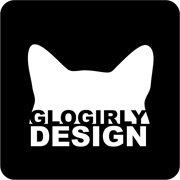 We know Glogirly will come up with a great design. This is a very important subject. Declawing has been illegal in the UK and many other countries for a long time. I agree that a lot of people who have their cats declawed are uninformed and not intentionally cruel, BUT the vets who carry it out know exactly what they are doing. I will never understand how a civilised country like the US has so far failed to ban the practice. I sincerely hope the Paw Project can bring about a change in the law to ban this cruel procedure. We agree with Flynn that we're lucky declawing is banned here in the UK. 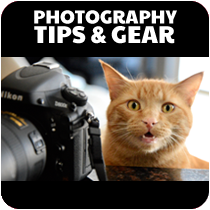 It is such a barbaric act and can give pain to the poor cats for the rest of their lives. Red hot coals in the perpetrators shoes would be one way to teach them it is agony. Get together please and help ban it world wide. glad to see the message that declawing is cruel and inhumane being spread far and wide! We were pleased that the shelter we adopted Ringo from had a sign a contract saying we would not declaw him (of course we wouldn't! ), and provided educational materials too. I wish more shelters did this. OMC all 4 of us getz our nails trimmed by da meowmy. She sits us on her lap likez da little kids and then trims away. We even getz da treat after shez done. We agree with MLK and we wish this was outlawed in the US. It is barbaric. Pawsome post! I am especially proud I know you, Katie, when I read posts like these. When TW’s family got their first cat about 45 years ago they were told that they MUST spay and declaw Faith and so they did. When Faith came home with her little gauze booties (TW still has one), Gramma cried and promised she’d never do that to a cat again and she never did. Later TW became friends with a vet tech who explained the awful truth that it’s amputation and mutilation. Somehow the public has to be better informed. I volunteer for a no kill shelter and am amazed at the number of people whose first question is whether a cat has been declawed. Mom bean is looking forward to your tutu...lesson on nail clipping. She tried once on our sisfur Silver and made her bleed and has never tried it again. So we has mighty claws at our house. Definitely no declawing allowed! We could not have said it better. People oftentimes are simply ... uninformed. And are horrified when they learn the facts. So let's get out and share them!